Listen up folks! I recently appeared on three, count ‘em THREE, Christmas-themed podcasts. 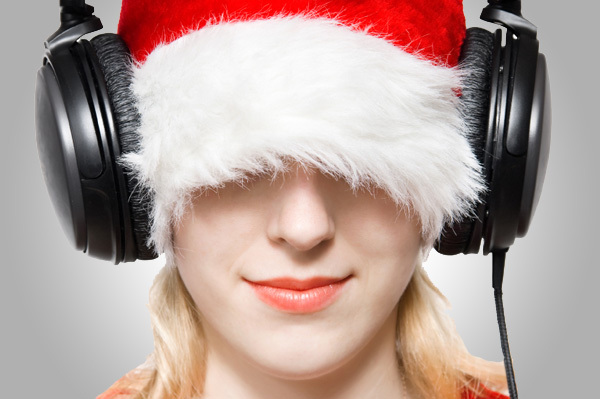 Sorry I didn’t get this posted before Christmas, but now you can listen to these holiday-spirited podcasts without all the pressure of gift-buying and annoying relatives. Chick here for the VIEWS FROM THE LONGBOX 2010 Christmas episode! Michael Bailey and I chat for nearly two hours of holiday cheer. We discuss three or so Christmas comics as well as some Christmas movies and why Mike may have to turn in his man card. Also, listen for the zany Scrooged/Superman connection! THE GEOFF JOHNS PODCAST hosted a two-part Christmas special entitled, “A Few of My Favorite Things”! To drum up a little Christmas cheer, Kevin Cushing gathered a group of his favorite podcasters to talk about some favorite Geoff Johns stories. We also discuss what it might be like if Geoff wrote some Marvel books like Spider-Man and Iron Man. Kevin’s guests included: Brad Douglas, George Berryman, Josh Bertone, Zach “Spideydude” Joiner, and myself. With this group you know there are plenty of entertaining tangents to be had (such as a discussion of the spinoffs from M*A*S*H, and YES there was more than one). Click here for THOMAS’ PREROGATIVE Christmas Special! Thomas “Primetime” Matis hosted a holiday podcast featuring Michael Bailey (VIEWS FROM THE LONGBOX), Chris Honeywell (TWO TRUE FREAKS), myself, and legendary voice actor Kyle Hebert. So sit down at your fireplace with your loved ones and some hot cocoa as we entertain you for a couple of hours. My thanks to Michael Bailey, Kevin Cushing, and Thomas Matis for inviting me to share the holidays with them. I hope everyone had a very Merry Christmas!